I work with business owners, dentists, attorneys and families in the areas of wealth management, estate and business succession planning, retirement and insurance planning. I believe in high trust relationships based on expertise, integrity, and authenticity. 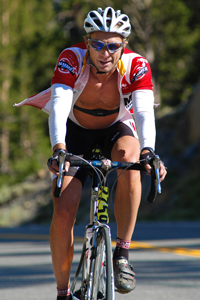 I have been blessed to participate in endurance sports like triathlon, cycling, swimming, sailboat racing, and back country skiing. Life, like endurance sports, can be very challenging. There are times when fear and other obstacles get in the way and throw you off course. My life experiences and unique educational background provide me with the ability to help clients make informed decisions to overcome those obstacles, both personally and financially, so they can focus on achieving their goals. I got into the financial services business to make a difference in people’s lives. I graduated from UC Berkeley with a Degree in Economics. I obtained a Master's Degree in Spiritual Psychology so I could better understand how people deal with change and resolving issues in their lives, whether this is a result of divorce, death of a loved one, change of jobs, sale of a business, birth of a child or marriage. Licensed insurance agent for life, health, disability and long-term care insurance.